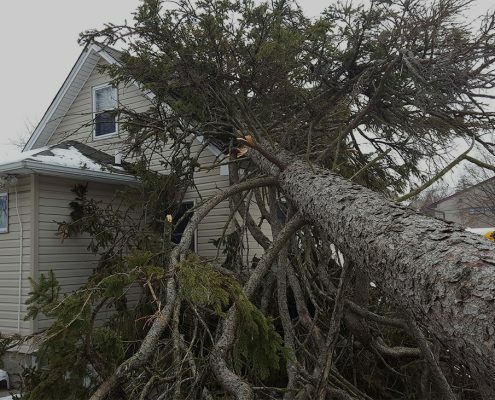 True Restorations, a wind damage restoration company in Long Island, provides services for complete wind damage restoration of your commercial or private property. When strong winds hit they are often accompanied by rain which can leave a devastating mess in its wake. Preparing yourself for it may be easy but picking up the pieces is no simple task. Our typical services include emergency roof or wall tarping, board ups, leak detection and emergency restorations of wind-driven rain. With our motto of “One Call Does it All”, we can also provide complete repairs to the interior & exterior wind damaged areas of your home or business. We will help start an insurance claim and guide our clients through this tricky, involved process. We utilize the Xactimate estimating program which is the same estimating database used by most, if not all insurance providers. By using this program it allows us to communicate directly with your insurance company on your behalf and come to an acceptable insurance payout which eliminates out of pocket expenses for our clients. Our communication & managerial systems and attention to detail are tops in the industry!!! Simply give us a ring and we’ll respond to the scene right away to provide assistance. When we get there our True Restoration Experts will give a full surveillance of your property, provide board up and tarping as necessary to minimize additional damages & water infiltration from the wind-driven rain. If needed, we will assist you with the starting & processing of an insurance claim. If any water damage has occurred, we will extract standing water, rip out wet soaked items & get started on drying down the affected structure to prevent additional damages from trapped moisture. We utilize the insurance industry Xactimate estimating program and work with the insurance adjuster on settling an acceptable repair payout for all necessary repairs of the structure back to pre-loss condition. If agreed, we can roll right into repairs seamlessly, minimizing delays in the repair process. True Restorations repair team is comprised of veteran general contractors with decades of “hands-on” experience in building & remodeling of residential & commercial structures. All facets of the wind damage repair will be carefully managed through completion. Our paperless digital office & highly communicative approach to interacting with clients increases speed & efficiency. 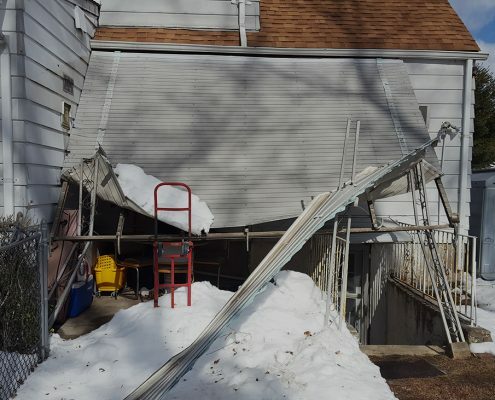 If you are dealing with a wind damage restoration project and having only one company handle the project from start to finish contact us and get speedy professional wind damage restoration services. 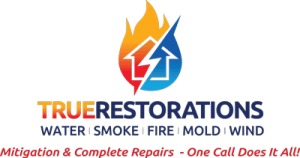 We are also experts in restoring fire damage, mold damage, water damage & smoke damage.